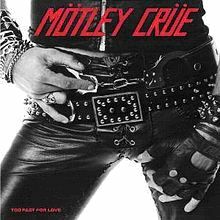 Regarding specific jurisdiction, Toma did not contest defendants’ assertion that they did not display the Belt Buckle Image during Mötley Crüe’s recent Illinois concerts. Instead, he argued the defendants were subject to personal jurisdiction because Toma’s claim arose out of an agreement to settle a prior suit he brought in the Northern District of Illinois involving the same image. The court found the existence of a settlement agreement insufficient to establish personal jurisdiction, stating, “This is not a case where the defendants deliberately sought out a business relationship with an Illinois resident.” Rather, Motley Crue, Inc. was compelled by law to respond to the earlier suit Toma filed against it. The fact that the case settled through an agreement that provided that it was governed by Illinois law was a factor to consider in the jurisdictional analysis, but the court found it insufficient standing alone. Toma also argued that jurisdiction was proper because the defendants purposefully availed themselves of the benefits of Illinois by infringing the copyright of a known Illinois resident (Toma). The court disagreed. The “express aiming” test articulated by the Supreme Court in Calder v. Jones, 466 U.S. 783, 789–90 (1984), states that a defendant who intentionally and expressly aims tortious actions at a state could reasonably anticipate being haled into court there to answer for its actions. In the Seventh Circuit, “something more” than injury in the forum state is required: the plaintiff must establish “tortious conduct specifically directed at the forum, making the forum the focal point of the tort.” Tamburo v. Dworkin, 601 F.3d 693, 706 (7th Cir. 2010). The Mötley Crüe defendants displayed the Belt Buckle Image outside Illinois and did not direct their actions to Illinois. Mere knowledge that the copyright holder lives in Illinois is not enough. While Home Sweet Home may be a copyright owner’s preferred forum, it is imperative to consider whether the owner can prove jurisdiction over the defendants or risk facing the Same Ol’ Situation as Toma and being told to Just Go Away after a year of litigation. The best time to consider those issues is before filing the complaint. Toma v. Motley Crue, Inc., No. 11 C 6766 (N.D. Ill. Oct. 9, 2012). Home Sweet Home, Same Ol’ Situation, and Don’t Go Away Mad (Just Go Away) are some of the dozen Mötley Crüe songs to chart on the Billboard Hot 100 over the years. Too Fast for Love (the album) peaked at number 77 on the Billboard 200 album chart in 1987.